In the movies, girls flirt by batting their long eyelashes, showing a bit of leg and twirling their hair ditzily. In real life, many of these techniques do NOT work and look very silly. 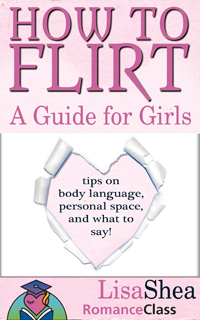 Learn the real secrets of flirting, and get close to those guys! Learn all about the signals that you send without even knowing it, and what boys and men respond to. By following our guidelines, you'll be a flirtatious chick in no time!